Quarter-inch foot for the 221/222 Featherweights and other short-shank machines. Has the spring-loaded edge guide to help you get that even, 1/4" seam allowance. 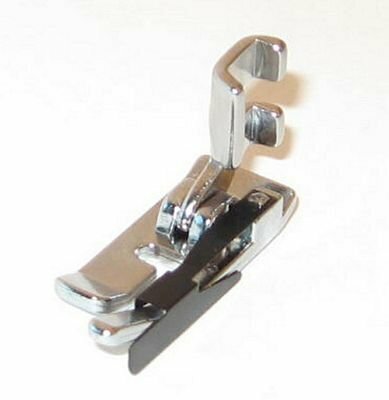 This one has one long leg similar to the original Singer presser foot. The connector to the presser foot shaft is the same as original Singer feet.